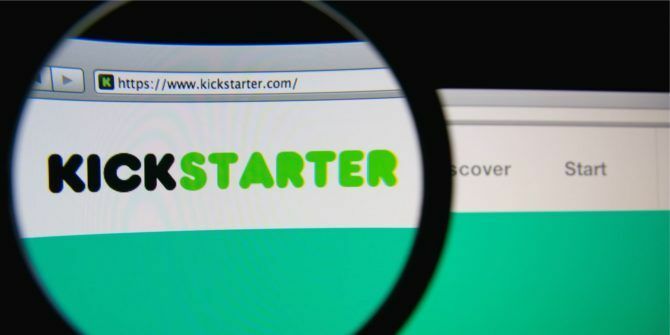 Have you ever wondered if a Kickstarter project is worth backing 3 Things to Consider Before Backing a Kickstarter Project 3 Things to Consider Before Backing a Kickstarter Project Before you back your first or next Kickstarter project, here are a few things to keep in mind if you don't want to get scammed or waste your money. Read More ? The platform doesn’t let the pledged funds go through unless the project meets its goal in time. This means that if you’re excited about a project and back it, you might never get your reward. For data-driven folks, there are a few sites that let you see what chance a Kickstarter project has at success. SideKick has the stats on every Kickstarter project currently in development. You can search for one by name or browse the categories. The goal, time remaining, and chance of successful funding given these numbers all appear. If you like data, click the Stats tab to check out the number of campaigns, average funding goal, and success rates for all Kickstarter’s categories. You can click any project to see its history over time, giving you an idea if it’s slowing down near the end or not. Kicktraq is another valuable Kickstarter resource. Instead of a big chart, the homepage contains news on big Kickstarter projects and popular campaigns of the day. Click Browse and you’ll see projects that end today, as well as projects that recently launched and those that are close to their goals. Search for any project and you can view how much time it has left, the current pledge level, and what dollar amount the project is trending towards. You can also review how much funding a campaign has received each day. The site even collects data on completed Kickstarter projects, including news related to their release. Of course, these services provide you with the most updated data, but can’t predict the future. In some cases a campaign could fail even if all signs point to it becoming successful. Make sure you trust the project creator Why Fraud Is a Real Threat to Crowdfunding Why Fraud Is a Real Threat to Crowdfunding Crowdfunding, once novel and untested, has started to make its way into the mainstream. As a result, it has attracted scammers and fraudsters able to exploit the system and walk away with millions of dollars. Read More before you pledge your money. For a laugh, check out the stupidest Kickstarter projects we’ve ever seen Crappy Crowdfunding: 10 Dumb Kickstarters We Did Not Support [Weird & Wonderful Web] Crappy Crowdfunding: 10 Dumb Kickstarters We Did Not Support [Weird & Wonderful Web] The success of crowdfunded innovations has attracted the brilliant...and also the inane and insane. Here are 10 of the absolute worst Kickstarter campaigns we could find. Watch them because they are comedy gold. Read More . Have you ever seen a Kickstarter project fail? Do you consider the numbers before backing a project? Let us know down in the comments!